However, the aim of this tutorial is to create a React application from scratch without using the CLI tool. The above command will initialize the project and add a new package.json file in the root of the directory. This command will install the Babel packages we will use to bundle our React application. The babel-react package will help us compile the .jsx files if we have any in the project. This is actually the barest minimum we need to compile our React application. The main thing we added is the babel-loader which will help us bundle the JS and JSX files. Now let’s start writing some sample components. Now when we run the dev script and visit http://localhost:8080, we should see the same output as above. However, when we change the contents of the App.vue the changes are not reflected immediately. Now we can re-run the dev script and we will see true hot reloading whenever we change our source files. Right now, we have a single component and an unstyled HTML page. Let’s add some styling and an additional component. Above, we just added the style-loader and css-loader to handle the CSS in the application. That’s all. We have successfully created a React web application from scratch using webpack. 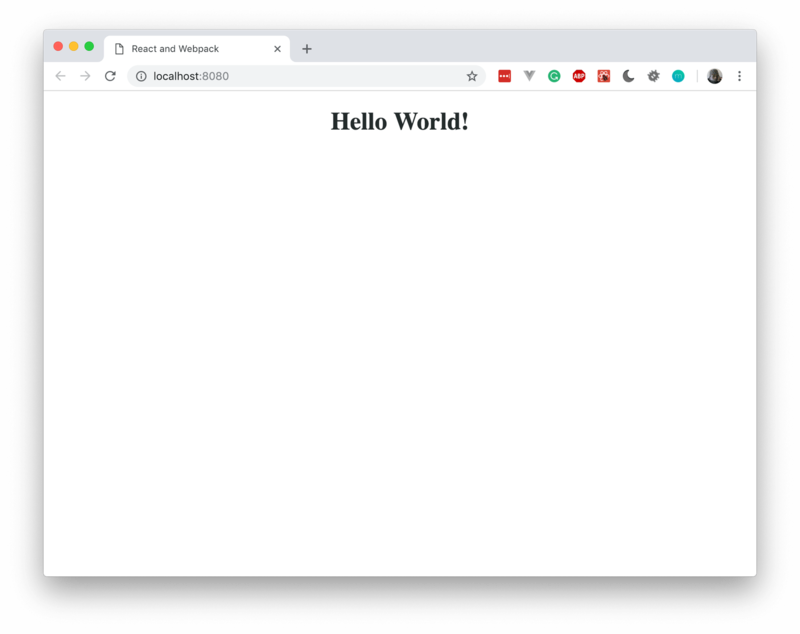 In this final tutorial of the series, we learned how to set up a new React application from scratch using the power of webpack. Throughout the series, we have touched on various aspects of webpack as a whole and though there is still a lot more, you should know your way around webpack now. If you need more information, you can always visit the documentation. The source code to the applications built in the series is available on GitHub.